We briefly had a great place to meet for a great price, but unfortunately, the owner of the gym decided to sell his business, and the new owners (Crossfit Invictus) are not interested in keeping us around. So, we are currently a church without a home. Please let us know if you have any connections in East Village, and please pray for us! We are a bit frustrated, but our team is handling it very well, and we are trusting that God will put us where we are supposed to be. 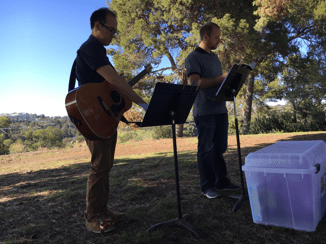 Despite the struggle with meeting space, we have now had four wonderful worship services together (the last two at local parks). It has been a joy to worship God with a new community! We haven’t made a big push to invite new people yet, but we have still had a number of new folks join us, and we are welcoming all who come (last week we had about 25 people, 6-7 of whom were new and from the community). Come and join us sometime! For now, we will be at Fault Line Park at 1433 Island Ave (next to the new Pinnacles at the Park building – the giant yellow one). We have been inviting folks to gather at 4:30pm to set up and hang out, and we start our service at 5pm. 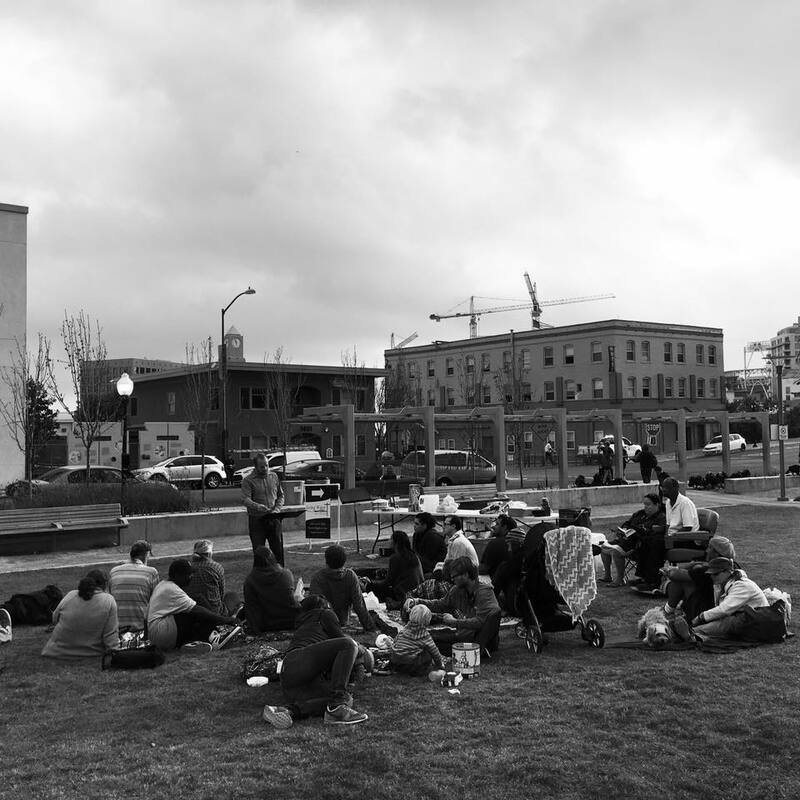 Mid-City Church of the Nazarene (English), with a little support from PLNU students, Mission Church, and Southeast, has been hosting a meal out of the Salvation Army downtown for many years. This ministry has been the foundation for our church plant. Pastor John Wright, or “Father John” as he’s known there, has expressed to me many times how much he loves preaching every Tuesday night in that context, so I am very honored that he has invited me to take over the preaching role. John told me that he thinks of the area as my parish, so he thinks I should be the one to share with the group on Tuesday nights. It’s been three weeks, and it has already been a great way to establish that we have a new church and a new pastor in the area, and I am hopeful that this will help us connect more deeply with the community in East Village. We have decided that we will try to recruit a music ministry intern to help us lead the music portion of our worship on Sundays. We’ve sent out a notification of the position to students at PLNU majoring in the School of Theology and Christian Ministry, and we hope that we will find a student interested in jumping into the life of our church and gaining some experience in ministry. If you know someone who might be interested, please let me know! 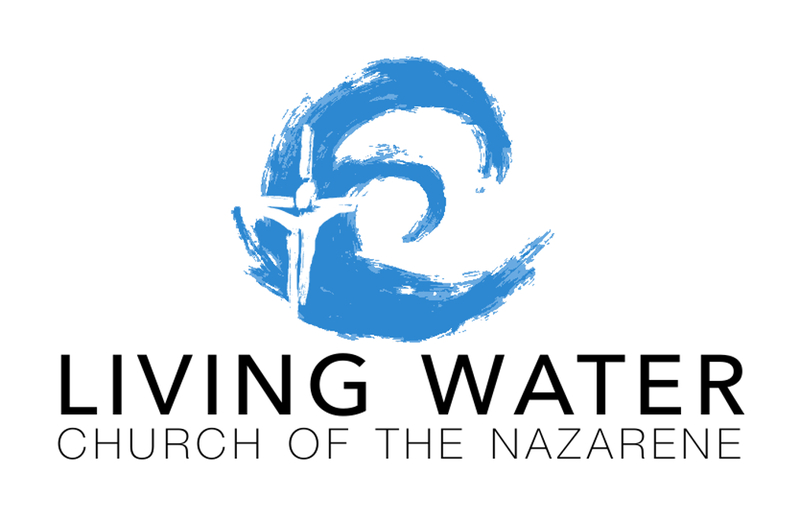 We recently sent out a “needs list” to help us gather items that we will use regularly as part of our ministry as a church (livingwaternazarene.com/needs-list). We are keeping the list current, so please check it out if you are interested in helping us. We have had several items donated already. We are trying to jump into the world of social media. We now have Twitter, Facebook, and Instagram accounts. I am hoping that we will find ways to use these incredible communication tools to help keep our community rooted in discipleship throughout the week. They will also help people find us and receive news and updates. Check out our profiles and like/follow us! Thank you for your prayers, and please continue to send us suggestions, connections, and whatever else you think might be useful. We are grateful to have such a large web of support!